Click Here for more kid friendly posts. And it might as well be something to do in the kitchen, right? 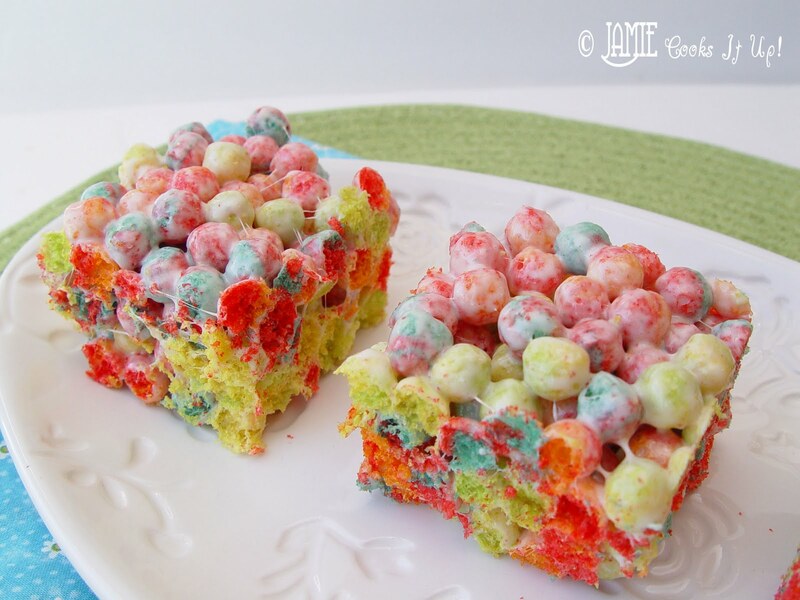 How about these Trix Krispie Treats? this recipe to a church function recently. I thought they were a cute and yummy! I had a hunch you might enjoy them as well. Let’s give them a whirl, shall we? 1. Toss your butter into a large pot. Let it melt over medium heat. and a dash of salt. Stir the mixture while the marshmallows melt being careful to not let it burn to the bottom of the pan. 3. When the marshmallows are almost completely melted remove the pan from the heat and add your Trix Cereal. Stir it well. You want everything to be nicely coated. 4. Spray a 9 x 13 pan with cooking spray and spoon the treats into the pan. I like to spray the palms of my hands with cooking spray and then use them to press the treats into place. 5. Allow the treats to cool and set up for about 15 minutes. Then cut and serve. I make these too! 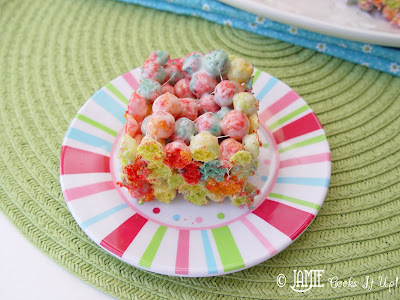 And I have even made them with Captain Crunch -n-Berries! These are so colorful; they make me happy just looking at them. I have got to make them for my grandkadiddles. 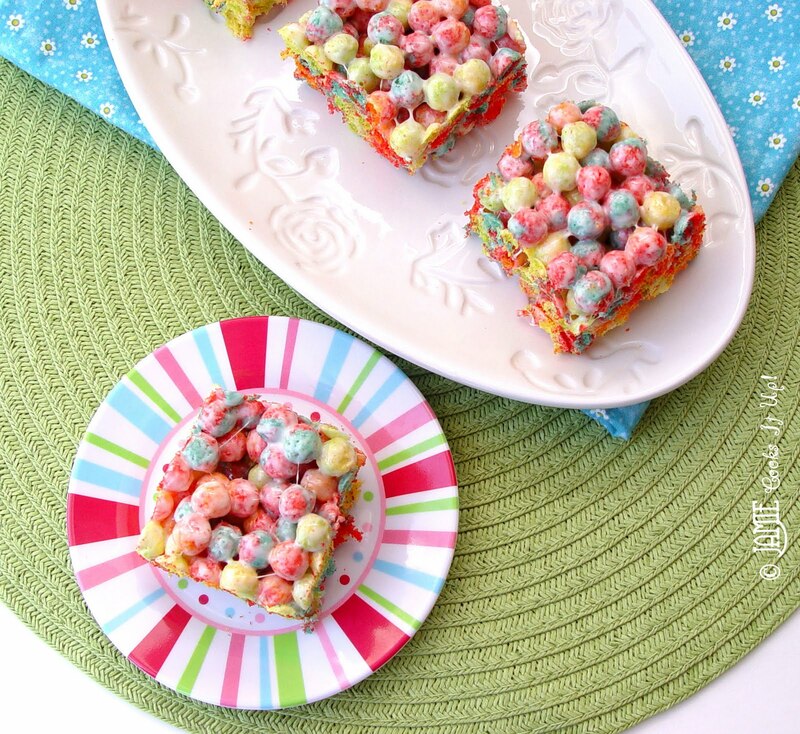 I don't know why I get stuck in that “Rice Krispies only” mode for this kind of snack.